Need a head turning pair of two tone dress shoes that are sure to make the ladies drop what they are drinking. 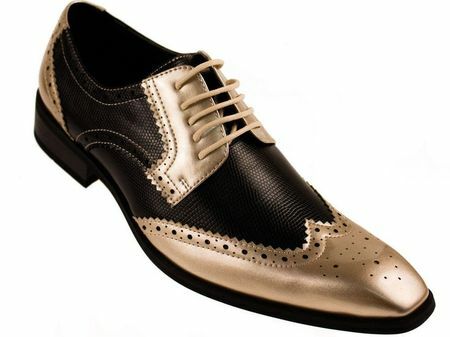 These gold and black two tone shoes by Amali might just make that happen. Featuring sharp looking metalic gold with a textured black contrast in a wing tip style and are as head turning as anything you could probably wear on your feet.